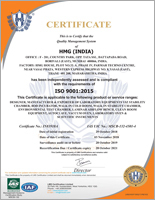 We, HMG (India), are prestigious business entity, identified in the market as an ISO 9001:2008 accredited manufacturer, supplier and exporter of Laboratory Oven, Bacteriological Incubator, Laboratory Autoclave, Humidity Oven / Environmental Chamber, Deep Freezer (Horizontal / Vertical), Laminar Flow Bench, BOD Incubator, Vertical Dehumidifier, and Viscometer Water Bath etc. These are developed from A grade components and material that are obtained by us from a base of dependable vendors. Offered in varied standard models and specifications, our products are globally applauded for their durability, easy operations, low maintenance cost and ergonomic designs. These reliable products find their wide applications in various industries such as Pharmaceuticals, Oil & Gas, Pulp & Paper, Fertilizers, Paint, and Research Labs etc. Ours is a customer based organization, which strive to leave no stone unturned when it comes to maximizing gratification level of valuable patrons. 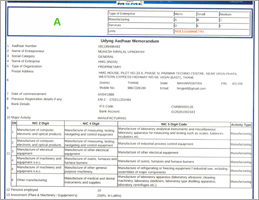 The experts of our firm maintain healthy relations with clients, take their feedback and work hard to develop offered product-line, as per the same. For clients' ease, we render reliable services for Designing & Commissioning of Complete New Laboratory, Imported Instruments, Laboratory Equipment and Calibration & Validation. We have team of well trained experts for making products, rendering services and carrying out all other tasks of our business in a proficient way. Furthermore, our economical rates and rich industry experience have helped us to garner a huge clientele, across the global market.